Hi, it's me again! It's been a while since I've blogged and originally I was going to have a current favourites as a first post, but I have so many thoughts about the Ultra Violette Queen Screen SPF50+ Lightweight Sun Serum that it really needs it's own blog post. It also needs a shorter name! I know I've seen it blowing up my Instagram feed and I'm sure you've seen the bright blue bottle on your feed too! Bloggers are raving about it but does it really live up to the hype? Yes...... and no! Let me explain. The product is amazing. Firstly the packaging is great. I love bright blue bottle. It has an old school glam feel to it with the dropper. The dropper is great for getting the right amount of product. They say to use 2-3 droppers worth of product to apply to your face, chest, neck and ears. I prefer to use 2 drops and focus more on my face and use a cheaper body sunscreen on my chest, shoulders and neck. I ordered it on Wednesday the 20th of Feb and it arrived on the 26th which was the following Tuesday. If you've tried the La Roche Posay Anthelios XL Ultra-Light Fluid Facial Sunscreen then you know the consistency has a watery but milky feel to it. So does the UV Queen Screen. It's really easy to apply and sinks in to the skin quite easily. I normally like to leave my sunscreen for 5-10 minutes to sink into the skin before applying my primer and foundation. Their website says that it doesn't pile, but I have had it pile on 2 occasions. I just washed it off my skin, reapplied the sunscreen and then applied my make up and it was fine. The first time it happened I applied a moisturiser with sunscreen (SPF30) before and then when I tried to rub the Queen Screen it started to ball up. The second time I had applied this and went to apply a primer that had sunscreen and when I rubbed the primer in it balled up. So I try and make sure if I use this then I try and make sure my moisturiser and primer doesn't contain SPF as the other times I used this sunscreen I had no issues. I also purchased their Peach lip balm. I like that this is not only slightly tinted but that it also contains SPF. I wouldn't bother using this when I'm inside. It will just be in my handbag or pram for when I'm outside. I think Ultra Violette is a fantastic brand. I love that they're a brand that's dedicated to make sure women and men use sunscreen daily. They also have a mattifying and a hydrating sunscreen, so you can easily find a sunscreen that works for you and your skin. So if I love the product, the packaging and the brand then what didn't I like? For me it comes down to price and convenience. The sunscreen costs $47 but their free shipping doesn't start until you've spent $50 or more. You can get shipping for $7.50 or express is $10. So if you just want to buy this, then it's a minimum of $54.50. As I said before it took a week to get to me, so I would need to order it before I run out or hope that I have a sunscreen I can use while it's being sent. So for me I would prefer to order the Mecca Cosmetica To Save Face SPF50 Sunscreen because it's cheaper ($40) and it has 25mls more. Mecca also do free express shipping, which normally is delivered the next day for me. So while I love the product, the price and the convenience is the only draw back for me. I would love to be able to purchase this from a physical store like Mecca or Priceline. It would also mean I could test the scent and consistency first before buying it. Have you ever not bought something online because you prefer to go instore and pick it up straight away? I purchased this myself. All thoughts and views are completely my own, and are always 100% honest. Usually when you think of a hair straightener, you think of a device that either straightens or curls. It's true that you can create amazing hair styles by curling or straightening the hair but lately I've been using the ghd Platinum Nocturne Styler* to create more than just straight or curly hair. 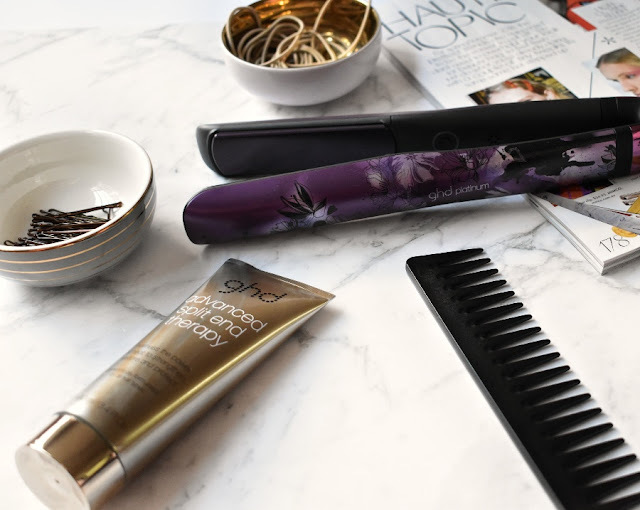 I've been using the ghd straightener more to prep my hair so my hair style will look more polished or to also give my hair more volume without having to use lots of stiff styling products. I have dyed blonde hair and I get foils twice a year. My hair is fine in texture, although I have a lot of it. I try and limit the use of styling products so my hair stays cleaner for longer, which means I can get away with washing my hair twice a week. 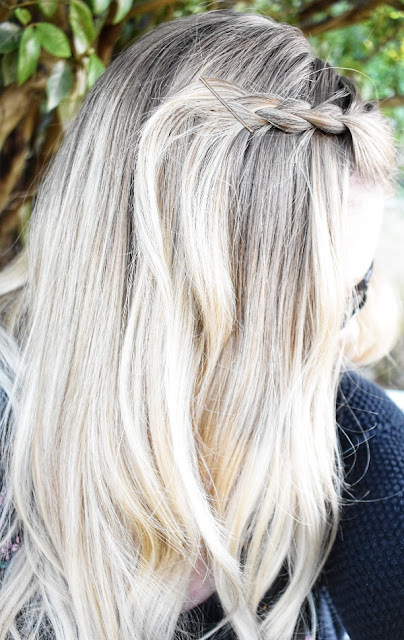 Being a mum of 2 girls, I don't have a lot of time in the morning to do my hair so I depend on quick and easy styles. One of the easiest prep steps that I do is to keep my hair in a bun while I sleep. It keeps my hair from getting tangled while I sleep and I wake up with soft waves. To make the waves even better I run the ghd straightener once through my hair and then put it up in a bun so the curls last longer. Then in the morning when I'm about to leave for the school drop off, I'll take my hair and either use my fingers or a wide tooth comb to gentle smooth my hair and lightly break up the curls. What I love about the ghd is that it heats up in 20 seconds. Having 2 young kids running in and out of the bathroom while a straightener is heating up is nerve racking, so I love that it heats up so quickly. It also automatically shuts off after 30 minutes of non use which is a lifesaver when you're rushing in the morning. 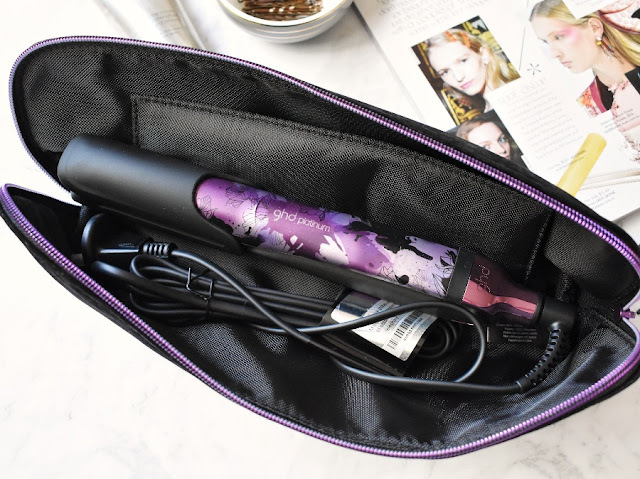 No longer do you have to worry about if your straightener was left on or not! The heat resistant bag is also amazing as I can use it while I'm using the straightener but also to put it in the bag while it's cooling down and keep it safe from little, curious hands. 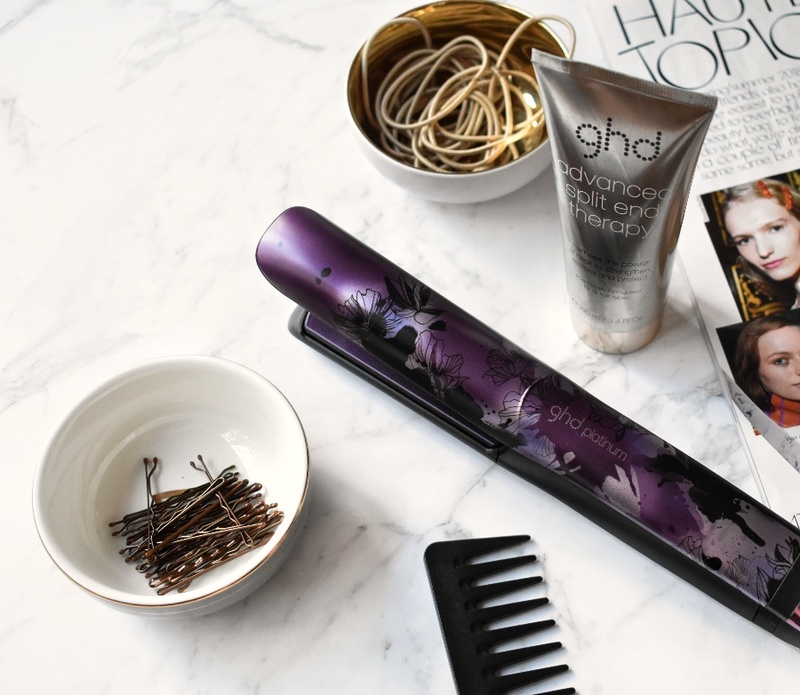 The ghd website has an amazing hairstyle section where you can get inspiration on different ways to use their straighteners and wands. They have it in categories so you can find styles for your hair length or for a particular event like a wedding or festival. I'm currently growing out my fringe so most days I will just pin my fringe out of the way and keep the rest of my hair down. 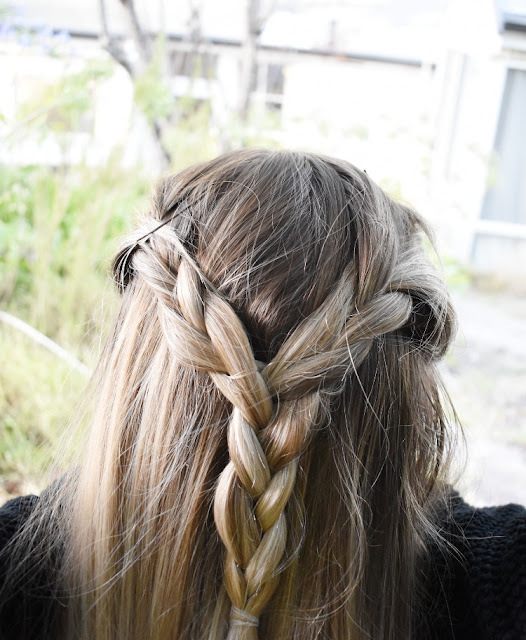 I really like the Rope Braid but having different lengths in my fringe made it slightly difficult to recreate. So instead I pinned back most of my fringe and the front section until the layers became difficult to keep in a plait. I find it easier to do a deep parting on one side as it helps hide the layers more than when I do a mid or off center parting. What I like about this style is that the waves don't have to be perfect. I can miss bits of hair and it doesn't matter. The gentle waves help add body and give more volume without having to use any spray at all. I was also inspired by their Double Braid but made it a bit more time friendly (as well as fringe friendly) and only did a plait with the top half of my hair. To keep it from falling out as I often walk the girls to school, I instead used to clear hair tie to make sure that any pins wouldn't fall out especially on windy days. I also joined the plaits together and continued the plait to give it more of a bond and to stop it from coming apart. 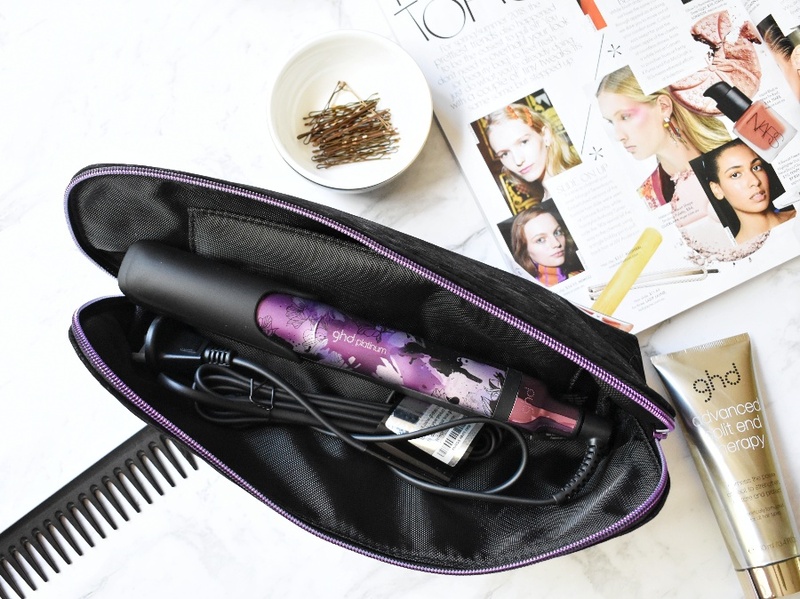 A quick use of the ghd can help rid flyaways. I can't recommend the ghd line enough. It was the very first big beauty purchase I made 11 years ago and their straighteners have just gotten better and better. I also have their hair dryer which is about 4 years old now and it's amazing. I use it a couple of times a week and I also use it on the girls hair. It works quickly and it's amazing how much less damage a quality hair device does to your hair! Do you use hair tools often? If so, do you prefer a straightener or a wand? *I was kindly gifted this to review. All thoughts and views are completely my own, and are always 100% honest. See my disclosure policy here. Over the last year, microfibre cleansing cloths and pads have become a huge beauty trend. 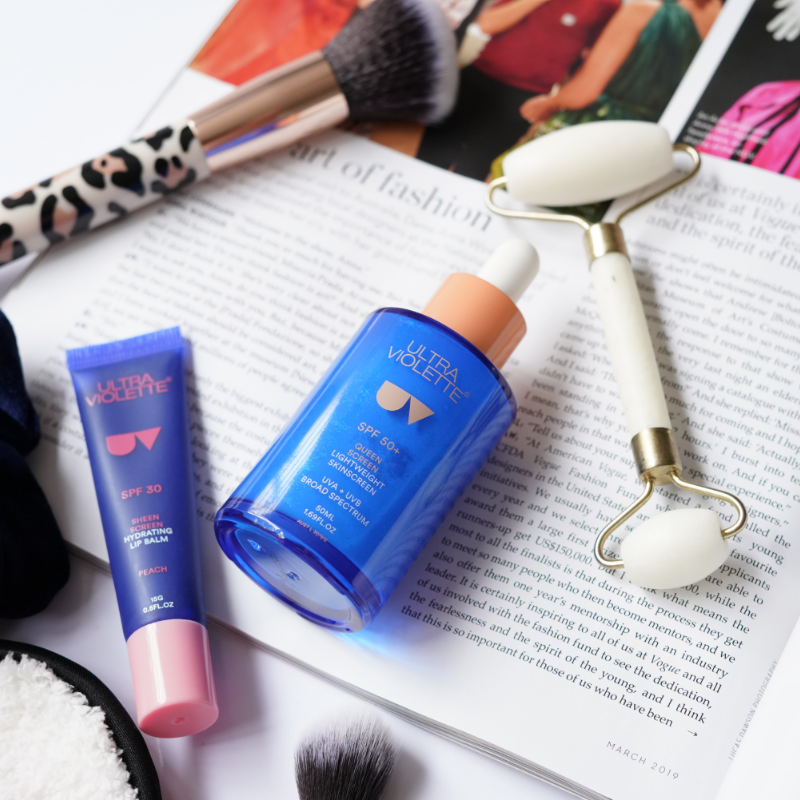 The Make Up Eraser was one of the first brands to really target beauty lovers and put the focus on removing make up not just using it to cleanse the skin. Last year Face Halo released their own version. Instead of a towel, they created a small pad that not only is travel friendly but also a lot prettier. 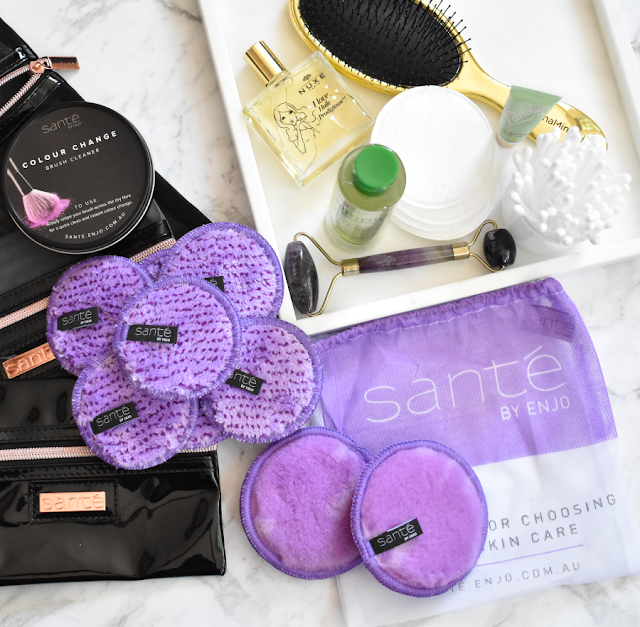 I had heard a lot of good hype about these but I ended up purchasing the Sante By Enjo after seeing Tried And Tested rave about them on Instagram. I ended up buying the Flawless Skin Lilac set which comes with 7 make up removers, 2 exfoliating pads, a set of 3 make up bags and 2 mini laundry bags. This set costs $99 but they do have some smaller and larger sets depending on your budget. The also have a few different colours available. The laundry bags are great as I can use them to put the dirty make up and exfoliating pads in the bag and wash them in the washing machine without damaging them. I like that the set has 7 of the make up pads so I have one for every day of the week. I normally will wash the dirty ones once there is 5 there so I always have clean ones available. All you need to do to remove your make up is to wet the pad and then wipe it (along with your make up) off your face. Because it's double sided, I normally use one side for the left side of my face and then the other side for the right side of my face. If you don't wear a lot of make up then you will only need one side to clean your face. It gets almost all of my make up off but you may need something extra if you're wearing waterproof liner or mascara. Even though they do remove make up, I still normally will use a normal cleanser afterwards. I think this comes down to habit more than necessity as the last few years I've always done a double cleanse. 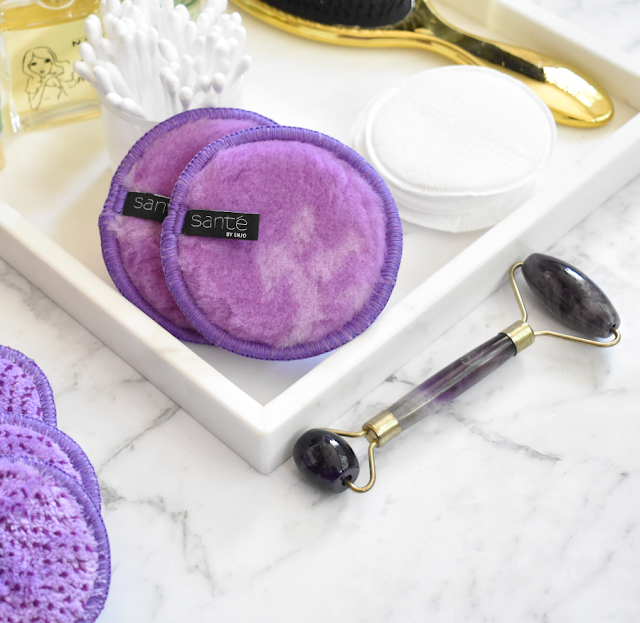 Just now instead of using a cleansing balm or oil, I use the Sante make up removing pad. I also like to use these to help remove a face mask. I was really impressed with the exoliating pads. They help to remove dead skin without being abrasive or uncomfortable. I love to use these to help remove an exfoliator, especially one that's gentle and doesn't give me enough exfoliation alone. I absolutely love these and really want to buy another set as they're just fantastic! I also ordered the Colour Change Brush Cleanser after seeing a video of it on Instagram. I own one of the brush cleansing sprays that you spray onto your brush to remove pigment quickly but I find a lot of the time that they don't dry quick enough and they can still feel damp, especially if you use natural brushes. The great thing about the Sante brush cleanser is there's no liquid so I don't need to wait until the brush dries to use it again. The cleansing pad that removes eyeshadow pigment looks like a microfiber pad but it feels prickly. This helps to break up the shadow and catch it in the pad. 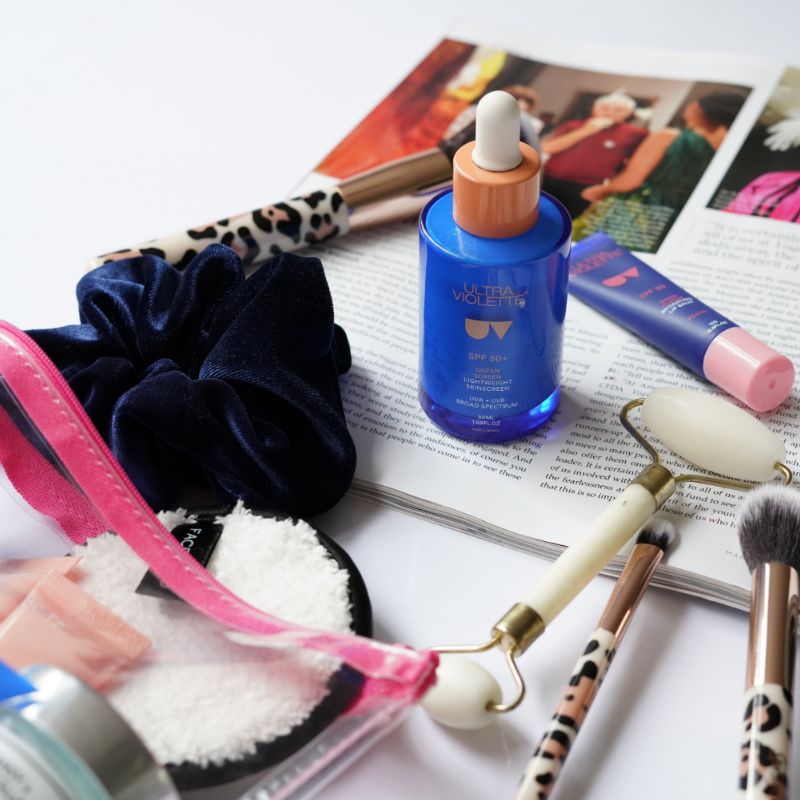 I love the brush cleanser as it's quick and easy to use. It helps to take out shadow pigment so you can go in and use another shade in less than 10 seconds. Even though your brush still looks like there's some eyeshadow on it, none will mix with your next shadow so you'll get a clean colour. I also love to use this to remove pigment from my crease brush so I can go back and blend more. I keep this in my bathroom so I don't have to go finding a new clean eye brush. Sante also sell body gloves and towels to cleanse and exfoliate as well as a coconut cleanser to remover waterproof make up. 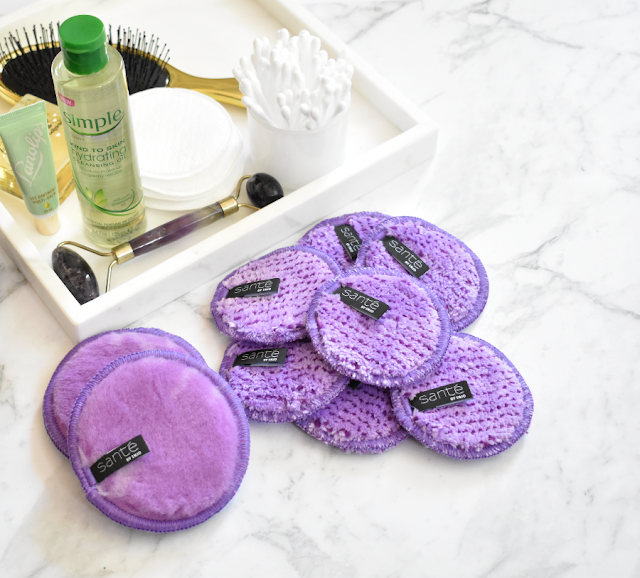 Have you used a microfibre cloth to remove your make up? Did it live up to the hype? Hi again! It's me, the blogger that rarely blogs! 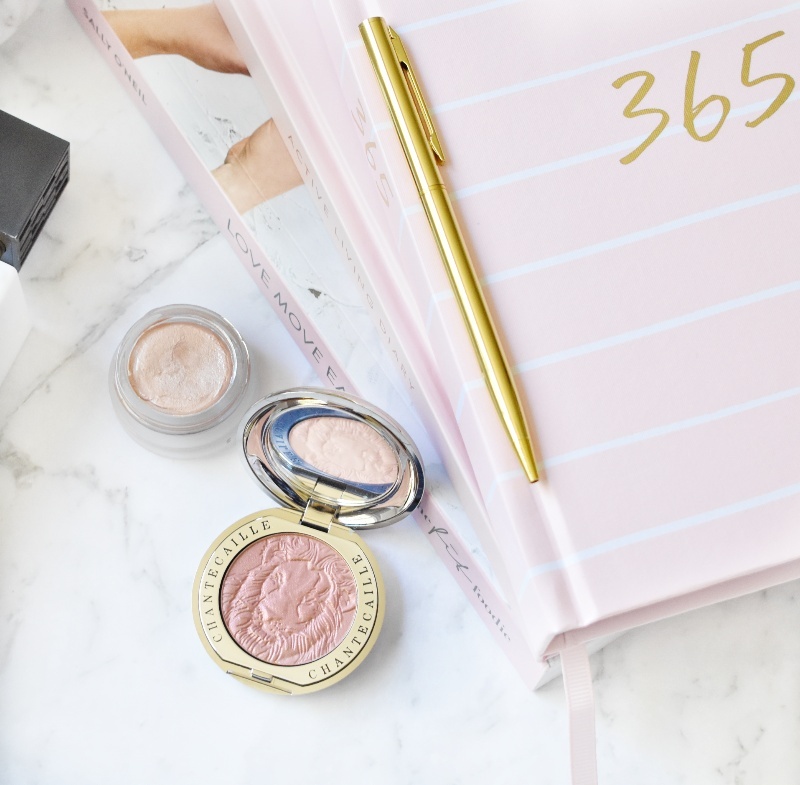 Last year I've really focused on my Instagram page since I can share my love of beauty products a lot more easily there than I can on the blog. While a lot of time and effort goes into a photo for Instagram, a blog post takes hours to produce. Hats off to the bloggers who are able to work, have a social life and still blog!! But while Instagram gives you (almost) instant gratification, I really miss blogging. So my goal for this year is to get two posts up a week and get back into my blogging groove. So I thought what better post to come back with than my beauty, blogging and personal resolutions for 2018. Other than posting weekly, I'd love to also focus more on my photography. I want learn more about it and push myself to try new things. I'm wanting to do a one day photography course. The Adelaide Zoo has them once a month and while a lipstick is obviously much more different than a zebra, the tools and techniques I'll pick up can help me for my blog photography. The last time I posted my new years beauty resolutions was back in 2016. Honestly, a few of them are things I continue to work on. Buying less and using more was a big thing for me in 2017 and I'll continue this in 2018. I also want to use up products more often. I have a bad habit of using half a product and then open a new product because I love trying new things. I'm especially bad at this with skincare. In 2017 I tried to buy less and also give away products I wasn't super excited about. I also now have no beauty box subscriptions so I'm not being sent products that I wouldn't buy. In 2018 I'll continue to get rid of my back ups and have a smaller stash of unused products. 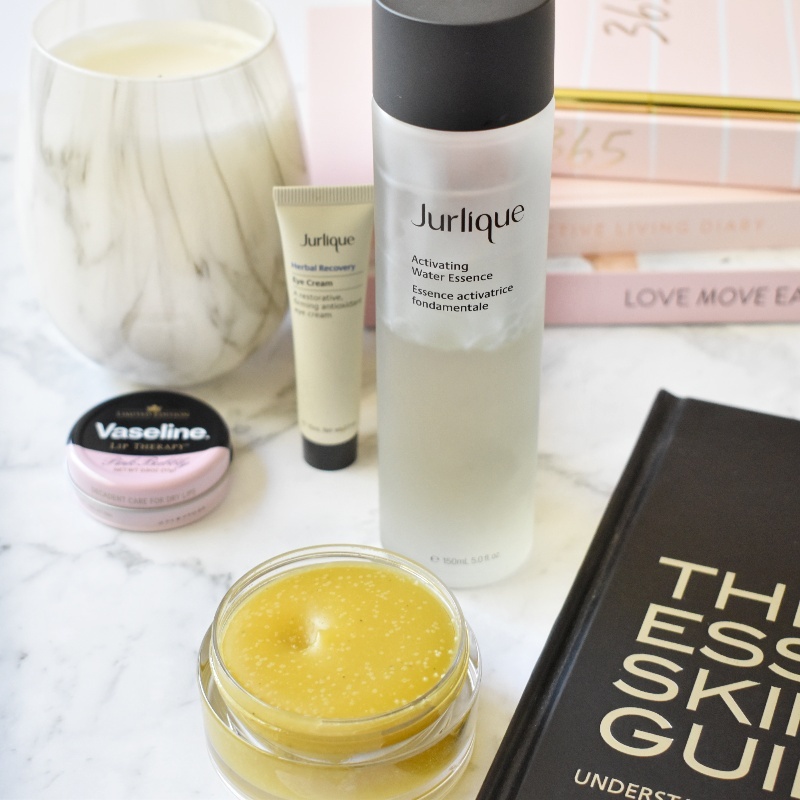 While I love trying new skincare, I find it hard to get my best skin when I'm constantly changing up my routine and products. This year I want to use more of the same products consistently and instead only use one or two new products. While I'm diligent about washing my face and using sunscreen, I often forget to use an eye cream. Because I'm not getting any younger, I really want to focus this year on using one daily. I'd also love to paint my nails more often as I rarely do it and it's such a nice way to relax and pamper yourself. For my personal goals, I want to focus more on health in 2018. Being a mum I find that I spend so much time looking after my family, that I often forget about myself. I want to spend 20 minutes each and every day doing something just for me. 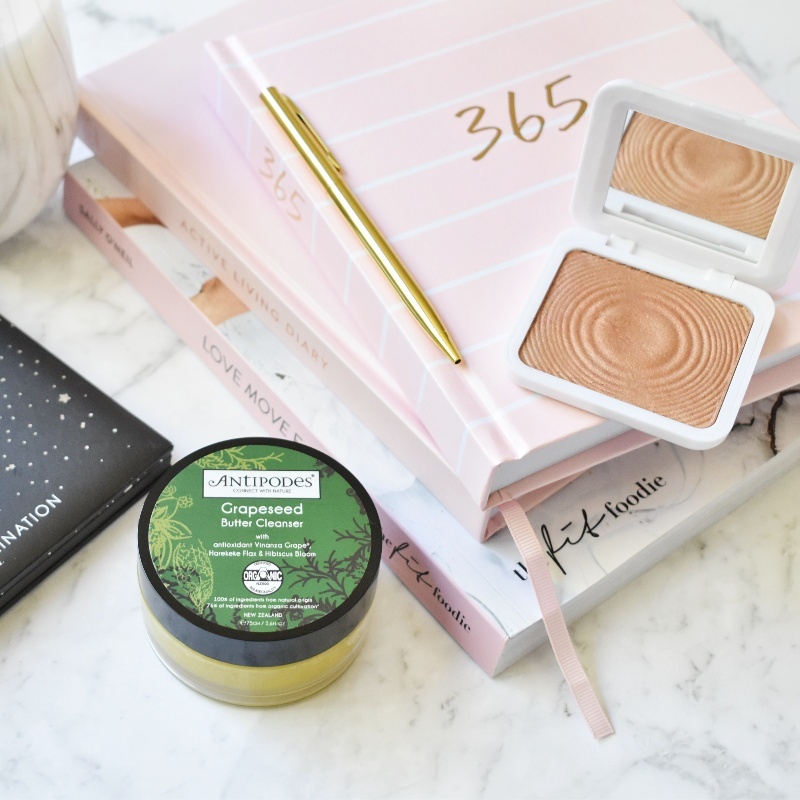 It might be blogging, painting my nails, reading a book, working out.... it really doesn't matter what I do but to make sure that I take those 20 minutes out to look after my physical and mental self! So those are my goals for 2018! Fingers crossed I can smash them! I remember using an epilator in my late teens and it was torture! Not only did it sound like a jack hammer, it felt like torture too! I only used it a few times but threw it away shortly after. Luckily over the last 10-15 years they've tweaked the technology and epilators are much easier and more comfortable to use.